Do You Need Help With IRS Tax Issues? My company with my 25 years of experience reliable tax experience can help. We can file back taxes,help with liens and levies. We can take the pressure off from our clients. Looking for local representation . Not over the phone but face to face meeting. Free consultation with experienced tax professional not a salesman. My company can negotiate on your behalf. We can set up a plan to finalize to resolve your tax problem . Help with local tax agencies. 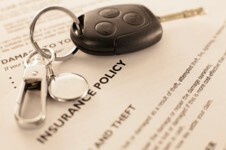 If you qualify reduce penalties, interest, and make offer and compromises.